We offer FREE STANDARD SHIPPING on United States orders $99.00 and over (excluding taxes). No promotion code needed! Offer valid for shipping to continental US, PO boxes and APO/FPO addresses. **Express orders received before 12pm ET M-F ship same day; orders received after 12pm ET ship the next business day. Please note that express shipping excludes orders that contain hazardous materials, backordered items or are placed on hold for customer credit protection. Applies to all continental US addresses including P.O. Boxes and military addresses (APO/FPO). Tire Sensor Warehouse ships out orders Monday through Friday, excluding all US postal holidays. 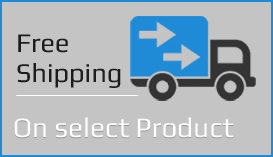 Orders typically leave our shipping warehouses within 1 business day. You will receive email notification when your order leaves the warehouse. Delivery Time estimates based on orders received before 12pm ET, Monday through Friday. Orders received after 12pm ET, Monday through Friday will ship out the next business day through the chosen shipment option. Shipping costs are based on packages up to 5 pounds. Oversized packages are subject to extra postage costs. Delivery Time estimates based on orders received before 12pm ET, Monday through Friday. Orders that are received before 12pm ET will ship the same day; orders received after 12pm ET ship the next business day. Shipping costs are based on packages up to 3 pounds. Oversized packages are subject to extra postage costs. IMPORTANT : ALL international orders are subject to local fees, taxes, duties and customs. Tire Sensor Warehouse will not pay these additional charges. Shipping costs are based on packages up to 3 pounds. Oversized packages are subject to extra postage costs. Also, Canadian and international customers may need to pay additional import fees, taxes, and customs. Please contact your local customs office for full details. For more information on your specific package please sign in to your account and review your Order History. If your order says In Progress, it hasn't yet left our warehouse. If it says Shipped, you will be able to view any available tracking information. Shipping and tracking information will also be made available in your shipping confirmation email. Once your order arrives, order status will change to Complete.